The Warwick and Warwick auction which took place on March 18 contained an important collection of Birmingham and suburbs, which had been broken down into 16 lots, estimated in total at £13,550. The collections and singles were well received by the bidders, all lots selling and with a total realisation, including buyers’ premium, of £15,612. A Black Country collection vended by the same person, estimated at £900, realised £1,239. Elsewhere in the G.B. topos, London sold well, with one collection estimated £280 selling for £737 and another estimated £180 selling for £543. The best result for a single card in the topo section was £88, which was realised by a Preston to Burnley motor omnibus and crew. The sale contained a very important section of railway official cards, including many rare poster adverts, in superb condition. 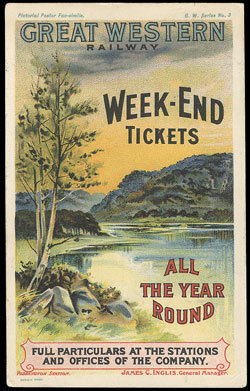 Prices realised varied according to rarity and demand, the best price of £200 being paid for a GWR Series 3 “Week-End Tickets”, others in the same series realising £52 (“Upper Thames”) and £82 (“Land’s End”). “North Wales Golfing and Boating” failed to find a buyer. The L & NWR “Irish Golf Links” made £153 and the well-known GNR “Skegness is so Bracing” by John Hassall made £112. The rare and attractive Furness Railway Tuck Series 21 cards were offered as 6 singles and 4 realised £189 each, the others selling for £153 and £112. 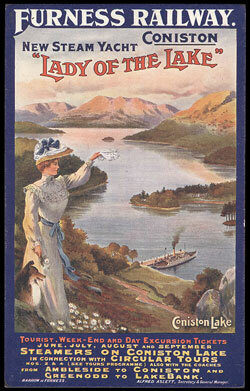 The NER Photochrom 1908 poster adverts were offered as a range of 11 different, estimated at £650. They made £796. The “Golf” card was offered separately and it realised £56, surprisingly less than the average price of the others in the series. 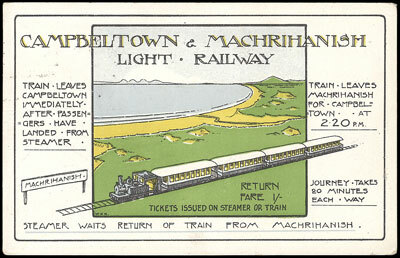 The Campbeltown & Machrihanish Light Railway issued very few officials and the only card the auctioneers have ever seen was estimated at £80. 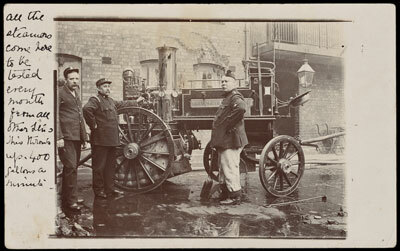 A bidder was pleased with his purchase at £59, proving that bargains can be found by those who are diligent. The artist-drawn section was, by comparison, lack-lustre. 337 A.R. Quintons achieved only £212 and a second collection failed to sell. 236 cards by C.H. Twelvetrees sold for £354 and G.E. Studdy’s Bonzo failed to sell. A rare collection of 31 original watercolour sketches by Cynicus, some of which were used to illustrate postcards, bore an estimate of £1,000, but again buyers were not interested. Road transport, ships and social history were all in demand, with many realisations at double estimate. 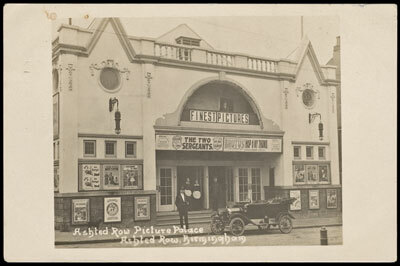 Warwick and Warwick value postcard collections free of charge. Our next auction is on May 20.